The John Gosden-trained KICK ON was an impressive winner of the Bonhams EBF Maiden Stakes at Newmarket and also became the 123rd winner of a Tattersalls October £25,000 Book 1 Bonus. 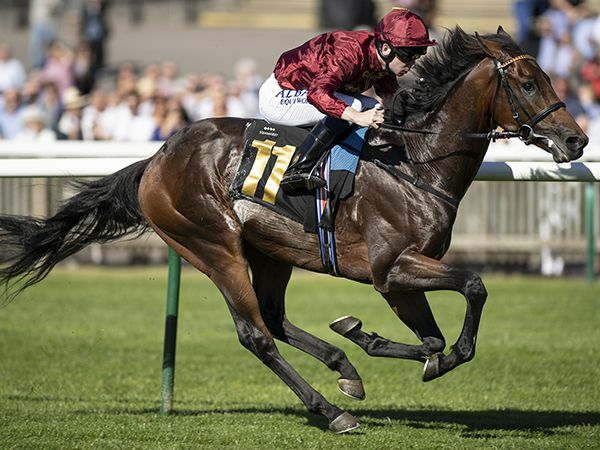 The son of first season sire CHARM SPIRIT won a total of £31,469 for owners Qatar Racing Ltd.
Out of the Listed winning MARJU mare MARIKA, KICK ON is a half brother to Listed winners SABRATAH and RAW IMPULSE and was purchased at Book 1 of the October Yearling Sale by David Redvers from Pier House Stud. Keith Harte is set to offer the KINGMAN half brother at this year's sale, catalogued as Lot 487.